Ashley and her husband Barrett during the top-secret filming of their HGTV pilot, "Sweet Home Renovation." Photo courtesy Ashley Gilbreath. It’s become a cliché: At the end of a home makeover TV show, a couple cries tears of joy as their transformed dwelling is revealed. But just before the credits rolled on interior designer Ashley Gilbreath’s HGTV pilot that aired in August, it was Gilbreath herself who was caught weeping on camera as she unveiled a remodeled beach house for a family with two children. 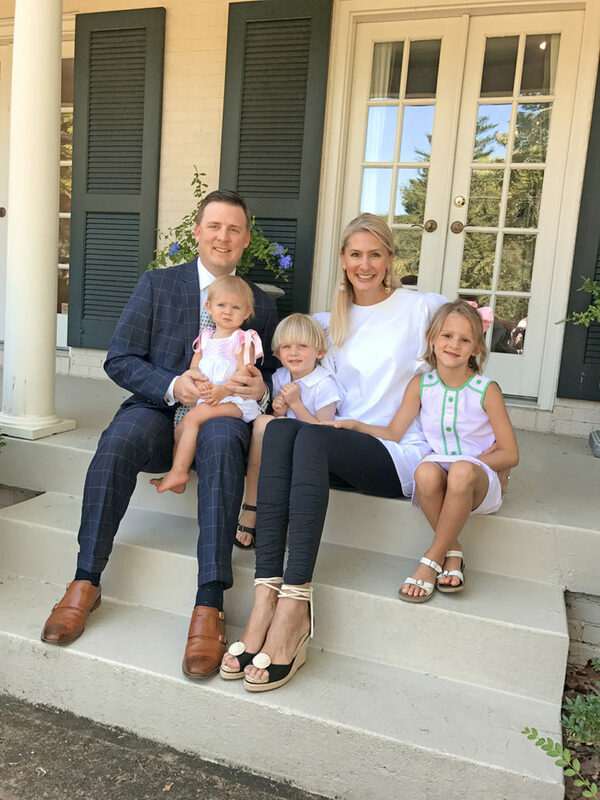 Ashley Gilbreath has created a successful interior design business in Montgomery, Alabama, but the Baton Rouge native says her favorite place to be is home with her family. Photo by Kevin Palmer. Making memories together is at the heart of Gilbreath’s design philosophy. It all goes back to her own recollections of days spent growing up in Baton Rouge. “My sweet daddy would have a fire going every morning, and we would warm our clothes on the fireplace screen before getting dressed for school at St. Luke’s,” says Gilbreath. 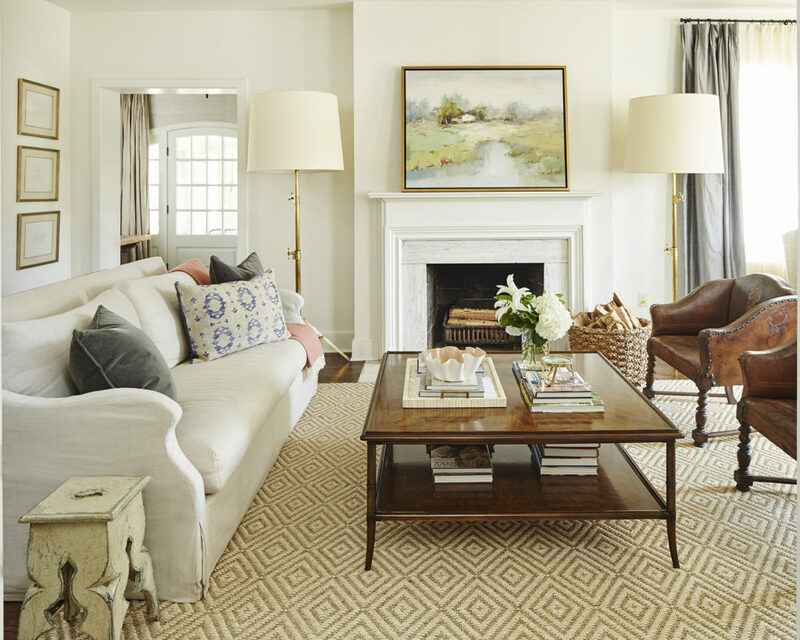 Today, the fireplace at her Montgomery, Alabama, home is also more than a decorating focal point—it’s a centerpiece for laid-back breakfasts with her husband Barrett and their three young children. Gilbreath’s penchant for casual living within an elegant environment has not only captured the attention of national television executives—at press time, she was waiting to find out whether her show, Sweet Home Renovation, would be picked up for a full season—but it has also made her a design-world darling with projects spread out from south Louisiana to Florida’s Scenic Highway 30A. “A fireplace says home to me,” says Gilbreath of the centerpiece of her living room, which is a favorite spot for the family to gather. “We love to pile on the floor and eat breakfast in front of the fire.” Interior photos by Laurey Glenn. But her journey to success began in Baton Rouge, where she grew up learning to appreciate the significance of a well-planned home design from her mother. 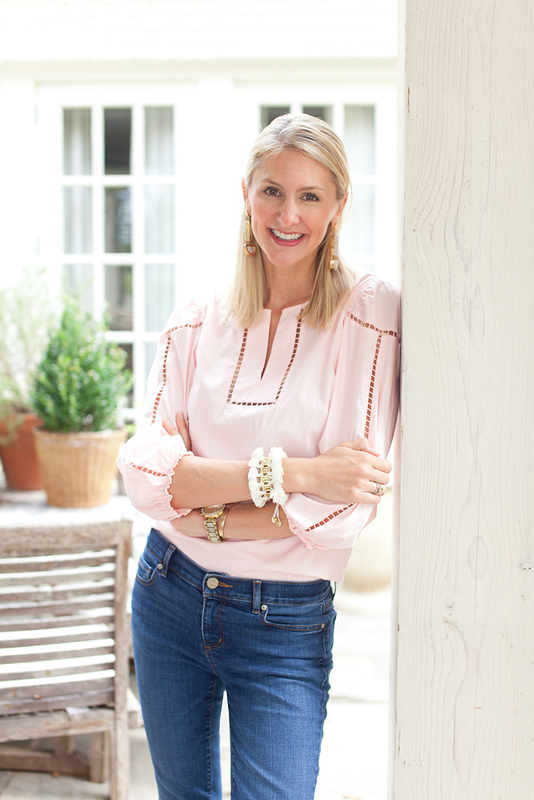 Then Ashley Freeman, she graduated from Episcopal School in 1999 and moved on to Auburn for what she initially thought would be a degree in architecture. But plans changed pretty quickly. “I noticed that all the architecture students were sleeping under their desks with pizza boxes stacked beside them,” she says with a laugh. Insane workloads aside, she found herself sitting in architecture classes wondering why no one was talking about the insides of the buildings. The Gilbreaths virtually doubled the living space of their 1940s home and added classic details including a cedar shake roof and cedar columns on the new porte-cochère. Photo by Kevin Palmer. 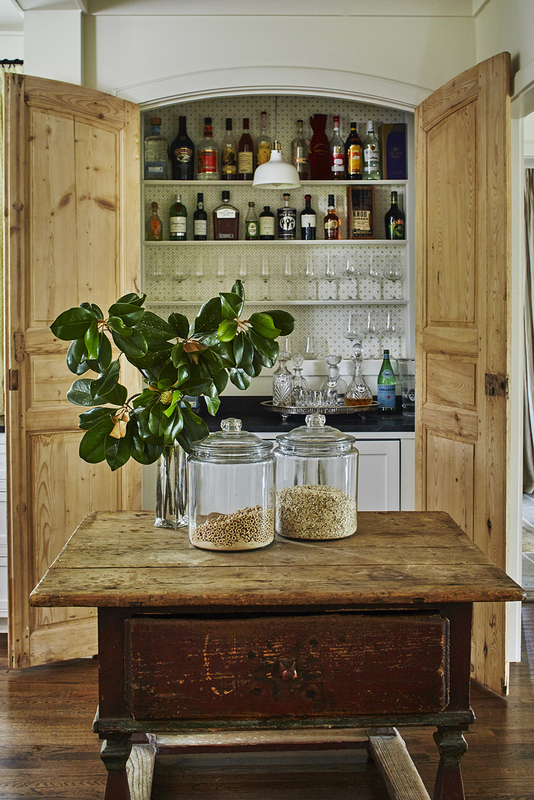 The backdrop of the keeping room is Farrow & Ball’s “Green Smoke,” a cloudy mix of blue, green and gray. 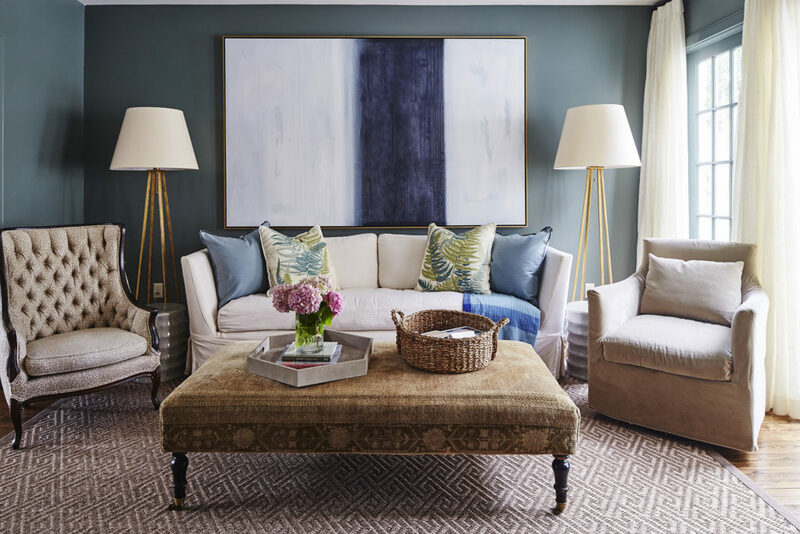 The mix of seating in this space includes a tufted chair that was Gilbreath’s grandmother’s and a slipcovered sofa that picks up a new chocolate milk stain “virtually once a week,” she says. The ottoman has been known to serve as a stage for toddler dance parties. Barrett and Ashley with their children Liza, Rett and Cates. Photo courtesy Ashley Gilbreath. As her geographic reach expanded, so did Gilbreath’s design company itself. A team of 10 full- and part-time employees helps to balance what she calls her “creative but not organized” personality. In 2010, she opened Parish Shoppe—named in honor of her Louisiana roots—to give style-savvy shoppers a taste of her design sensibilities in a retail environment. An old-world-style range by the Italian company Ilve features brass accents that are repeated on the faucet and cabinet pulls. “Barrett’s the cook in our house,” Gilbreath says. 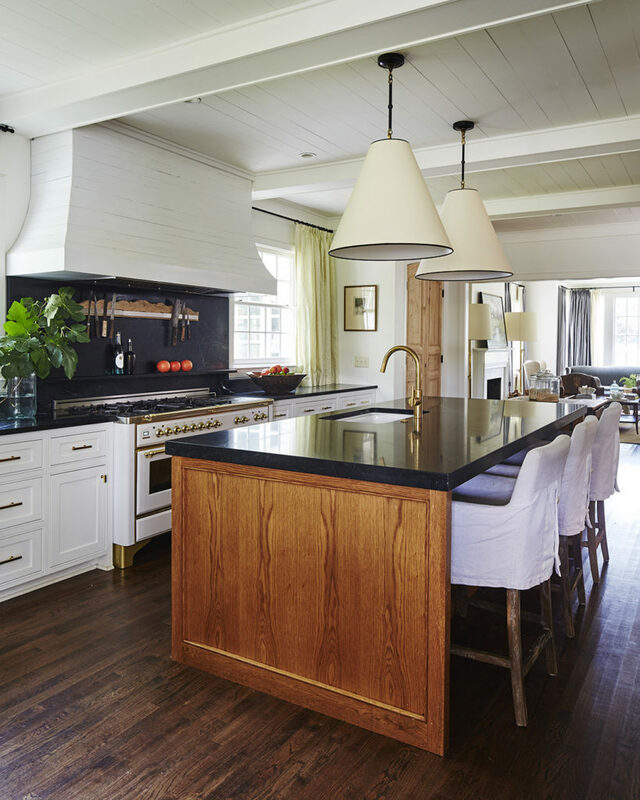 “I can scramble eggs, and that’s about it.” Soapstone countertops, maple wood on the island, and a shiplap ceiling add to the mélange of tones and textures. Gilbreath was actually at Parish Shoppe doing inventory when she was first approached about starring in a pilot for HGTV. “The phone rang, and it was a TV producer,” she says. “I laughed her off and said, ‘Nobody really wants a show about Alabama, and besides, we’re just normal people—we’re not that entertaining.’” But the production company was persistent, and despite her skepticism Gilbreath eventually decided to listen to what they had to say. After “much coaxing,” Gilbreath relented. Filming began in January and stretched out over five months. “We had to keep it quiet, which was really hard,” she says. 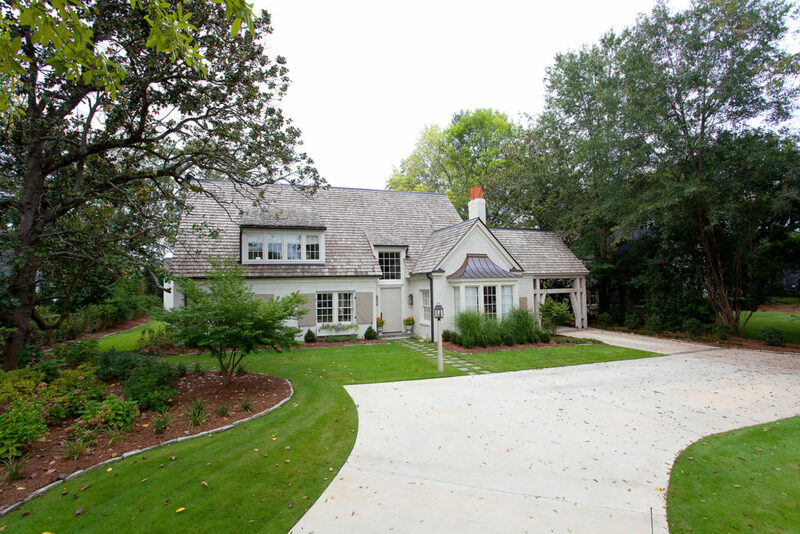 The pilot episode focused on a beach house renovation on the south side of 30A, following a formula seen in shows like the popular Fixer Upper but with a distinctly Dixie twist. 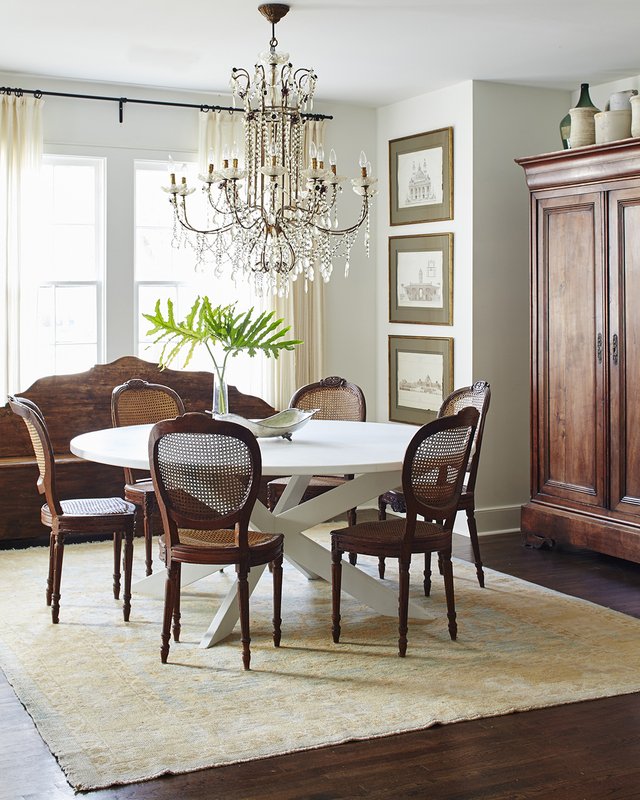 “Dining rooms tend to be massive holes for every piece of dark wood furniture in a house,” Gilbreath says. 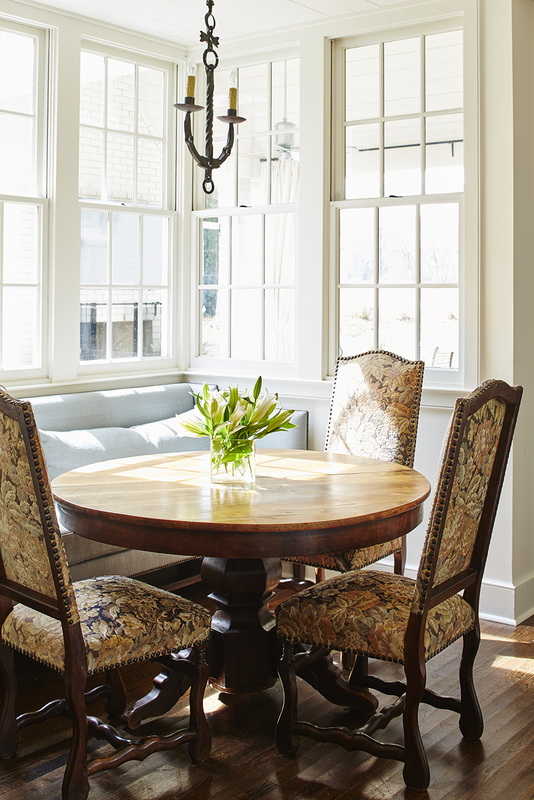 “Anywhere you can introduce contrast brings the formality down a little bit.” To shake off the mahogany curse, she threw in a contemporary white table along with classic Southern pieces including cane-back chairs and an antique armoire. 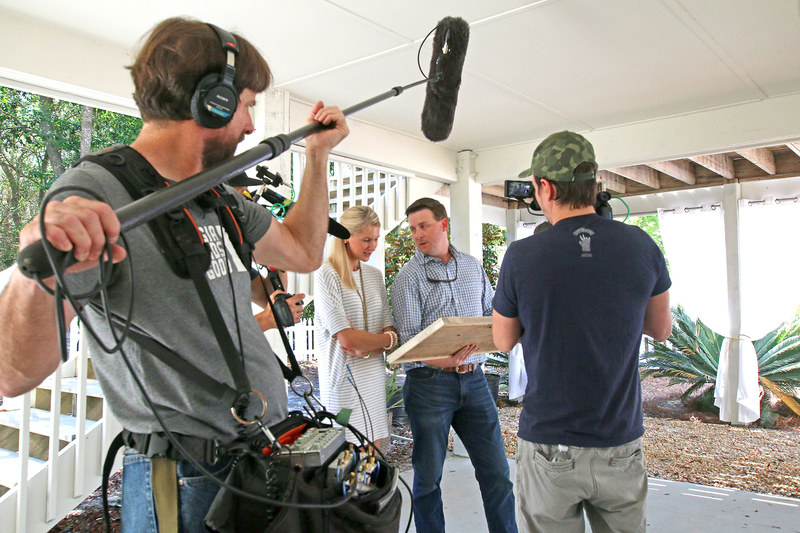 Ashley and Barrett on the “Sweet Home Renovation” set at a home on Florida’s 30A. Photo courtesy Ashley Gilbreath. Their newest abode, which is in midtown Montgomery within walking distance of her studio and shop, was built in the 1940s. With help from architect Chris Tippett of McAlpine Architecture, the couple added a second story and another chunk of ground-floor living space. The work was completed in time for the family to move in just a month before their youngest child was born. 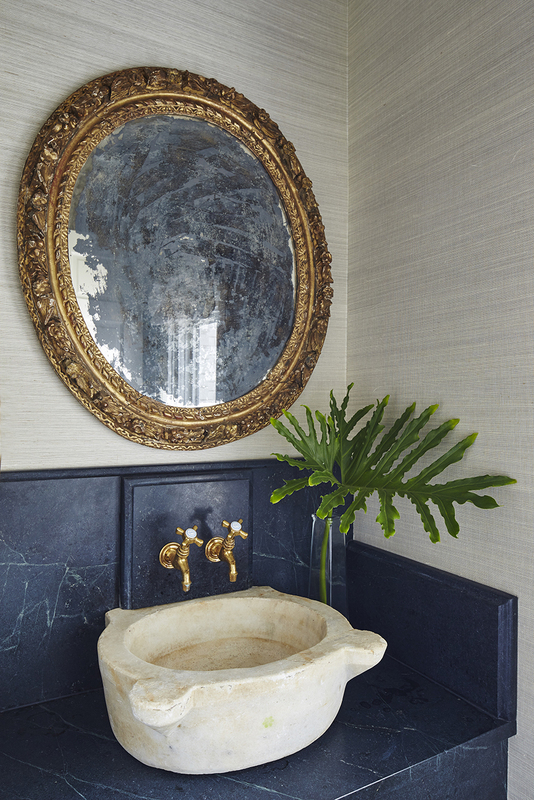 The Gilbreath’s powder room makes a big impact in a small space, with its ornate gilded mirror and a limestone basin that sits atop the soapstone counter. But look more closely at the bowl, Gilbreath admits, and you’ll see a green “Paw Patrol” cartoon stamp imprint on its front; this is the life of a designer with young children. The new back porch is a favorite spot to watch the sunset, and with its outdoor fireplace, it also brings back Gilbreath’s childhood hearth-front memories. She and her family still make the drive back to Baton Rouge to visit her parents as often as they can, and she says she is looking forward to attending the Auburn game in Tiger Stadium on October 14. Find out more about Gilbreath’s design firm at ashleygilbreath.com. 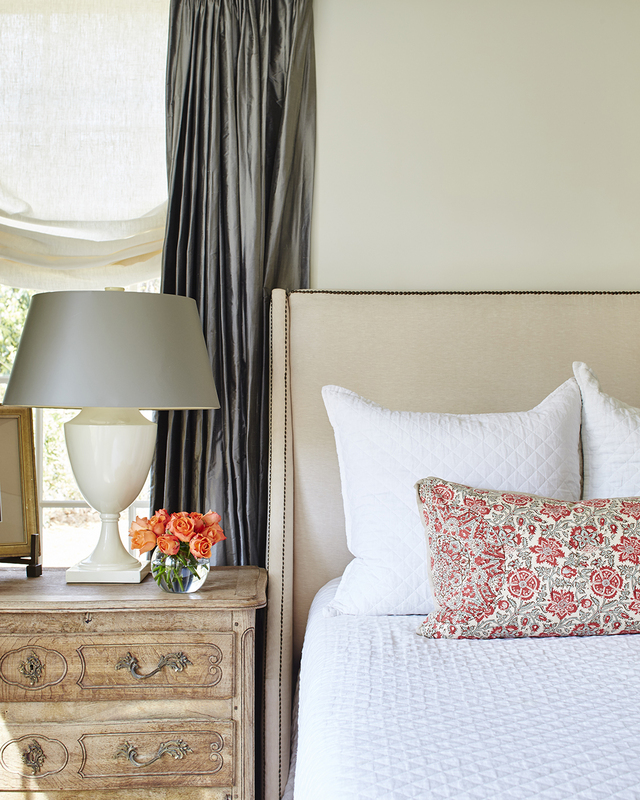 And check out the exclusive design tips she shared with inRegister here. 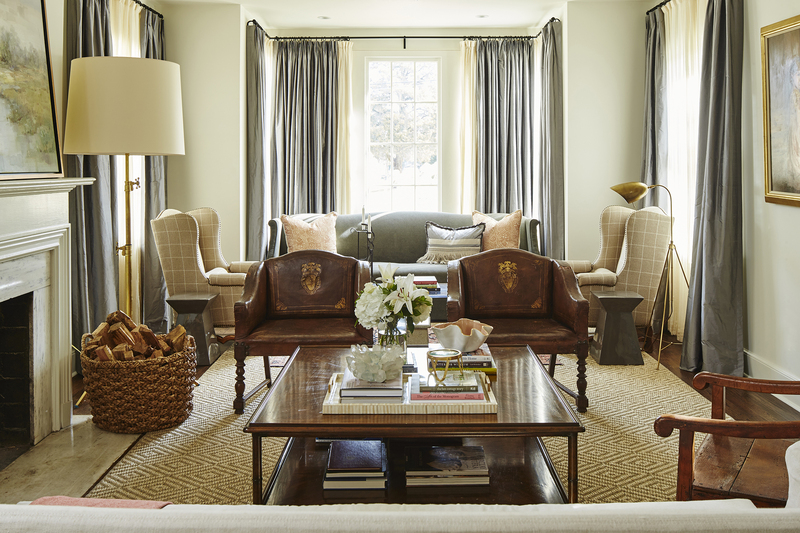 A pair of antique crested leather chairs adds a touch of clubhouse charm to the living room. “They’re super old and a really fun find,” Gilbreath says, adding that small cracks in the leather make them even more attractive to her. 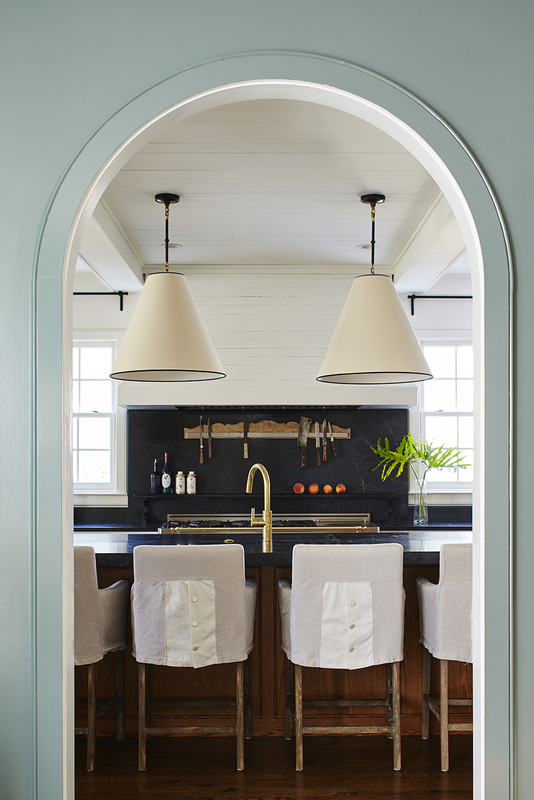 An arched doorway adds classical interest between the keeping room and kitchen. Counter stools are slipcovered to facilitate frequent washing, a must with three children six and under. Six-year-old daughter Cates’ “big-girl room” features machine-washable pink and white bedding. 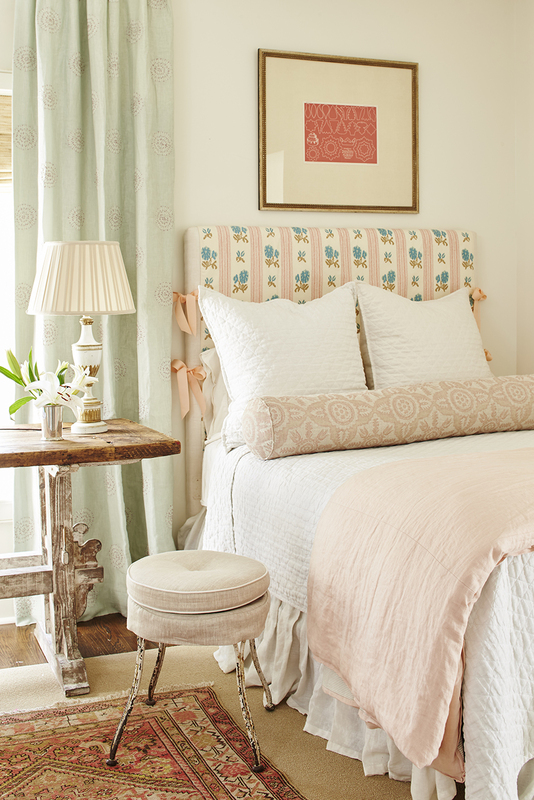 A floral fabric is wrapped around the muslin headboard and tied with pale pink ribbons, and the lamp on the European antique bedside table is a piece that came from Gilbreath’s grandmother. Along with the master bedroom, the master bath was part of the addition to the house. Creams and whites play nice in this space, with its freestanding tub, hexagonal marble-tile floor, and long drapes. An antique-inspired crib offers sweet dreams for Liza in the nursery, which is softened by valance-topped draperies and a muted animal-print wallpaper by Scion. Cates’ bathroom retains the original oak floor but is infused with bright whites and natural light. The bead-framed mirror came from Gilbreath’s store, Parish Shoppe. 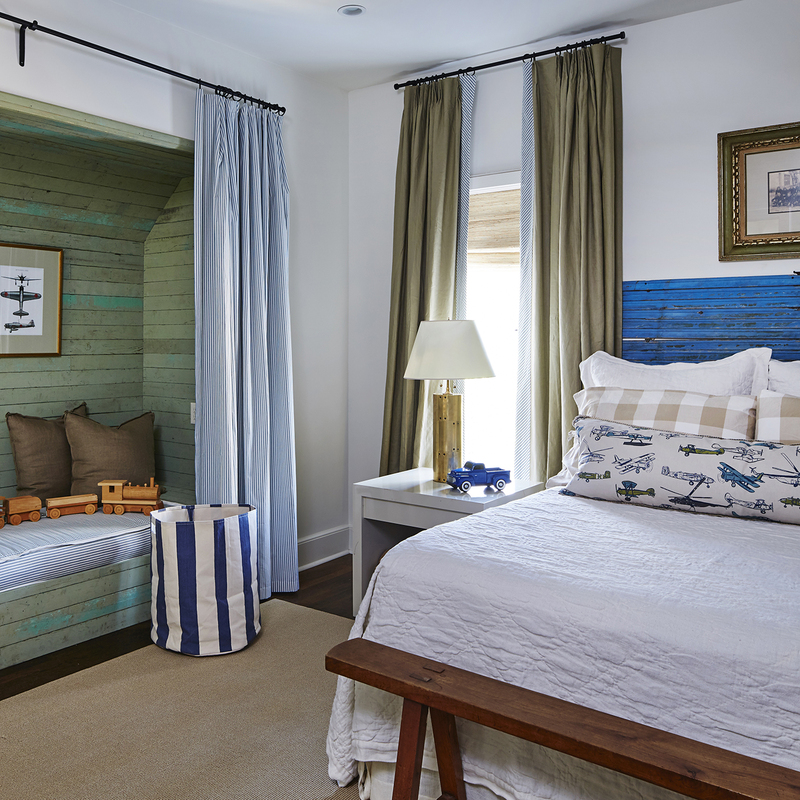 Son Rett’s room is home to a secret hideaway—a small curtain-covered nook lined with salvaged wood—but for all the fun it provides during the day, at night he is more often apt to sleep in the extra bed in sister Cates’ room. The newly added mudroom, with built-in cubbies and drawers to tuck away the stuff of everyday life and a durable bluestone floor, is just inside the door that leads to the porte-cochère. “This space is totally used and abused,” Gilbreath says.